J16 has east facing slip roads only. 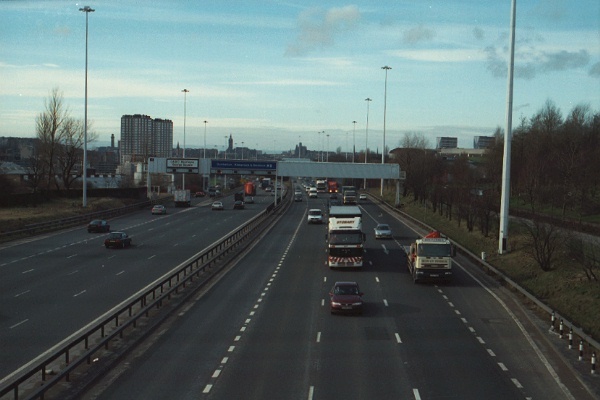 The proposed north Glasgow motorway would have joined the M8 immediately west of J16, and was simply too close to allow west facing slip roads. This is the view looking down the A879 towards the junction, with the ramp climbing up to the eastbound carriageway beyond. 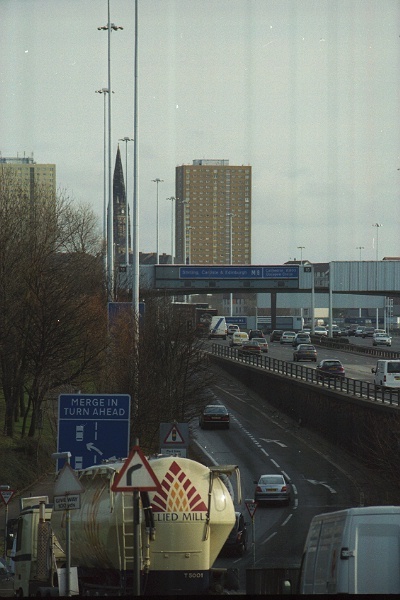 The junction is a half diamond, and traffic from the A876 has to Give Way to traffic from central Glasgow turning right onto the slip road. The traffic lights warning sign on the slip road is for a ramp metering system. 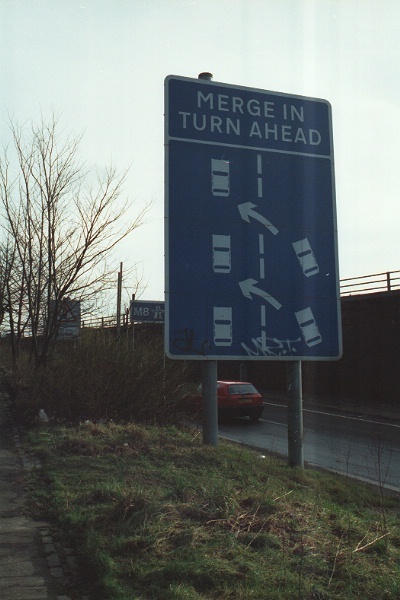 The approach from the A879 includes variable signage to direct traffic under the motorway to the A804 instead. This huge 'Merge in turn ahead' has been planted immediately in front of the 'start of motorway'! The auxiliary lane for the J16 entry is only just ending, but the wrong-side exit lane for J15 has already been marked out. There is only about 500 metres between the nose of the entry and the split at J15 - I'd not like to cross three lanes at rush hour trying to get from one to the other! The A804 suddenly seems a far better option!